Windsor Police are investigating after a woman was bitten during a bizarre altercation Tuesday morning in the city’s near downtown. 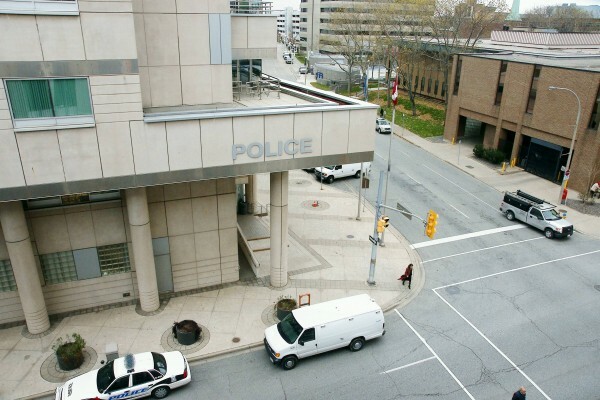 A 41-year-old woman walked into Windsor Police Headquarters to report that she had been assaulted earlier that morning by another woman. The woman told police that at 9am morning she was attempting to parallel park on the street in front of her residence in the 1000 block of Church Street. She said she was driving forward when she noticed the open parking spot, and a woman stepped out onto the street directly in front of her vehicle from between two parked cars which caused her to slam on her brakes and swerve around the woman. The driver got out of her vehicle and approached the woman who was now screaming at the driver that she had almost hit her. The driver also began arguing with the woman and pointed her finger at her advising her not to walk onto the road from between two parked vehicles. At this point, the woman grabbed the driver’s hand and bit the driver’s ring finger hard enough to break the skin causing it to bleed. The driver reacted by slapping the woman across the face which caused her to release her bite on the driver’s finger. After some more words were exchanged and the woman walked away southbound on Church Street. The victim then attended Hotel Dieu Hospital where she was treated and released for her injuries prior to attending Windsor Police Headquarters to report the assault. The suspect is described as a white female, 30 to 35 years, 5’5″, 180 lbs, with shoulder length brown hair and brown eyes. She was wearing a red wool jacket, blue jeans and running shoes. Anyone with any information regarding this assault or the identity of the suspect is asked to call Windsor Police Investigations at 519-255-6700 ext. 4830 or anonymously to Crime Stoppers at 519-258-TIPS (8477).